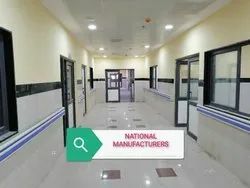 We are amongst the reputed organizations, highly engaged in offering an optimum quality range of Designer Glass Balcony Railing. The range of Stainless Steel Handrail Systems & Balustrade System that we offer are unmatched in quality, finish as well as support features. We offer this range as after years of research and development. We follow market compulsions in offering the exhaustive range that will support across the most competitive range of products currently available in the market. We hold expertise in offering a quality assured assortment of Steel Hand Rail. 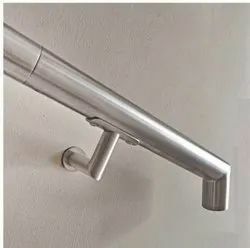 The Steel Hand Rail is easy to install. These products are available in plethora of sizes, patterns and shapes. Our products are highly acclaimed amongst the clients for its sturdiness.